Sat. 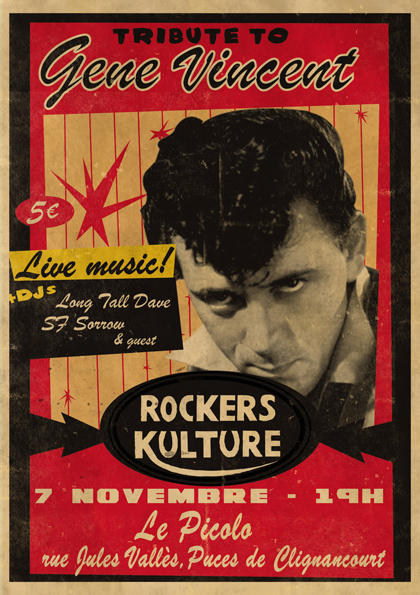 Nov. 28 Honky Tonk, R'n'R, Soul, Garage Blues, Surf @ Le Baron Samedi, 12 Rue des Goncourts, 9pm, free. Wed. Dec. 2 guest at SF Sorrow's weekly Record Show @ La Mecanique ONdulatoire: Honky Tonk, RnR, Two-tone, Classic PUnk. 9pm free. 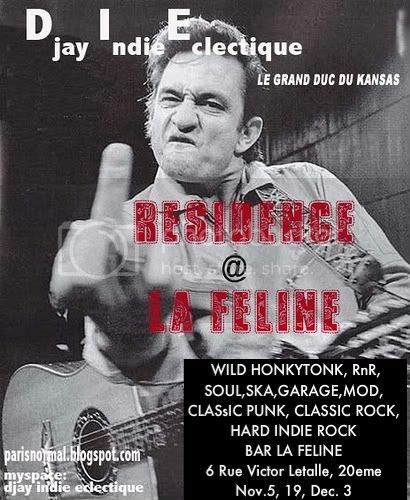 Thur Dec 3 Jay's Birthday @ La Feline: ONly the best from Fats Waller to Eagles of Death Metal! 9pm-2am,free. Grab your layperson’s guide to orchestral music terminology. It’s time for a couple of non-folk conceptual albums from arty wunderkind Sufjan Stevens—actually, one is rearranged by Osso. Both of these albums will alienate some fans of Stevens’ virtuosic lyrical-orchestral songsmithing in Illinois. However, if you can muster the attention in contemporary zap-saturated A.D.D. society, your adventures into the Sufjan orchestral realm should hold plenty of surprises. Nov. 18 Wed, DJ SF Sorrow Record Show @ la Mecanique ONdulatoire with guest DJ, 8pm-1h45am, FREE. Sounds of 2000s. Patrick Watson and the Wooden ARms Band @ la Cigale: Canadian indie singer-songer, in the vein of Rufus Wainwright. Nov. 20 Fri, No Frogs for Dinner @ La Maroquinerie. Kind of a trip, mostly poppy. Check it out. Nov. 21 Sat, Treat Me Bad Festival @ Glazart. Excellent bands and djs. See flyer above. Grizzly Bear @ La Cigale. Indie hipsters, god has answered your prayers. Flying Over, Thee Vicars, The Wailin' Yeahs@ Le Picolo, St. Ouen. Retro Garage Rock at a venue very friendly to the genre. Myspace here. Nov . 22 Sun, Black Joe Lewis @ Nouveau Casino. The Critics in the U.S. are lining up to salute this new retro garage soul sensation. 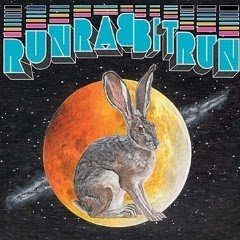 If you like Eli Paperboy Reed, James Brown, The Dirtbombs, Bellrays, etc. Don't miss this. See video below. The Pains of Being Pure at Heart @ Pt. Ephemere. 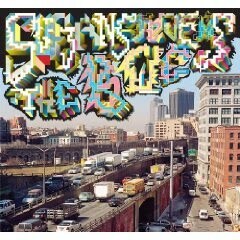 Good indie pop from NYC. Check here. Everybody Loves The Cramps @ La Maroquinerie. Tough night! Black Joe Lewis and this together. No One is Innocent, Lofofora, Swindle, Washington Dead Cats, Jesus Volt, Marc Minelli, La Danse Du Chien, Whodunit, Beef Paradise and Rhikka. The Indie Rock Haven La Fleche D'Or, closed last year, has REOPENED. Upcoming shows include Evan Dando and The Raveonettes. 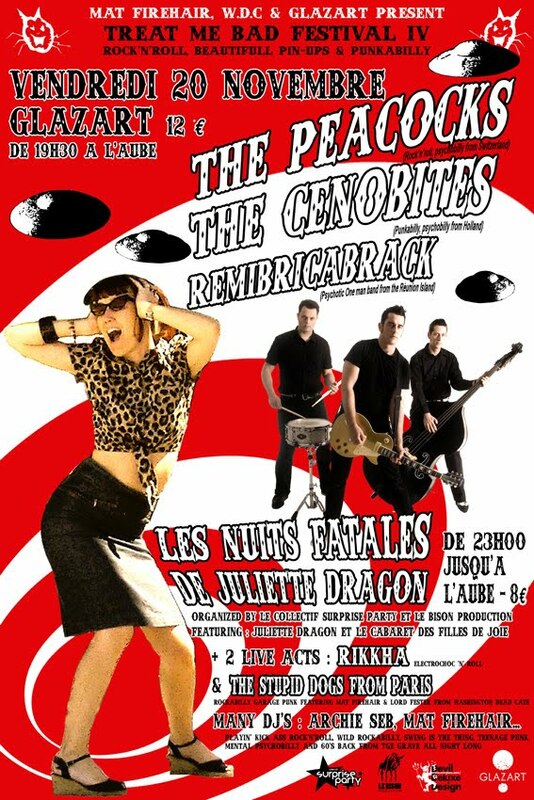 For garage and rockabilly-friendly music and people, check out Les Combustibles, not far from Gare de Lyon, 14 Rue Abel. Nov. 4, wed., Bats for Lashes @ L'Olympia. Nov. 4 " " Motorhead @ Zenith. Nov. 4 " " Taga Party. Taga is a Paris-based artist-designer with a rocknroll edge. This night features an art expo, concert, and dj sets (DJ SF Sorrow's usual wednesday night rocknroll vinyl extravaganza at la Mecanique Ondulatoire is relocated to this event for this week). See more here. Nov. 5 Thur Djay Indie Eclectique (D.I.E.) Le Grand Duc du Kansas's every other thursday soiree @ La Feline: Honky tonk, hellbilly, garage, soul, ska, blues punk,classic rock, classic punk, hard indie rock: from Hank Williams Sr to Hank III, The Sonics and Standells to the Black Keys and Black Lips, Etta James to the Bellrays, The Stooges to the Eagles of Death Metal. See adjacent poster. Nov. 5 "" Festival des Inrocks @ la Cigale: Fredo Viola (hyped US singer-songwriter, multi-media artist); The Irrepressibles (London, performance art rock); The Bewitched Hands on the Top of Our Heads ( FR, psychadelic pop): This appears to be a promising and quirky line up. Fred Viola has a buzz as a distinctive singer-songwriter whose influences range from Bartok and Stravinsky to Belle and Sebastian, while The Irrepressibles are a London buzz for their wild hairdos and black-painted necks, stage choreography, and hard-to-classify music that is sometimes associated with names like Jeff Buckley and Antony and the Johnsons. Nov. 6, "" Festival les Inrocks @ la Boule Noire: The Big Pink, Chew Lips. Nov. 6, "" Chrome Hoof @ la Maroquinerie: If you like the post-post-rock orchestral, experimental thing, this may be your thing. Electronic, disco, metal, with saxophones, trumpets, guitars, bass and drum. Psychadelic, futuristic. Trailblazing? Annoying? you decide. Nov. 6 "" Smash Album Release, live performance @ la Feline. Nov. 7, Sat, Tribute to the Great Gene Vincent @ Le Picolo, in the Paris Flea Market (Marche aux Pouces) de St. Ouen, Metro Clignancourt. Fantastic live lineup before the rockin sets by Dj SF Sorrow and Long Tall Dave: MOUSTIQUE (legendary 60's rocker), TONY MARLOW, THE SHUFFLE KINGS, LAURENT ZUCCARO, RAPHAEL (ATOMICS), RED DENNIS (HOT ROCKS), LITTLE NICO, GWEN, VINTAGE BOB (who will play Dickie Harrell's drum set from 1956 ! ), ANDRAS MITCHELL and others. 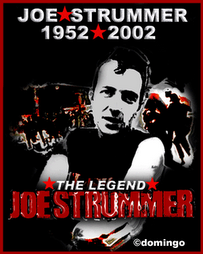 The following afternoon, 4pm, you get a rocknroll party at la Mairie du 14eme, 12, rue Durouchoux. Metros Denfert Rochereau or Mouton-Duvernet. See posters below.